In the days before the Second World War, a number of excellent books were in print which guided their readers through the techniques for going to sea in gaff-rigged boats and yachts. 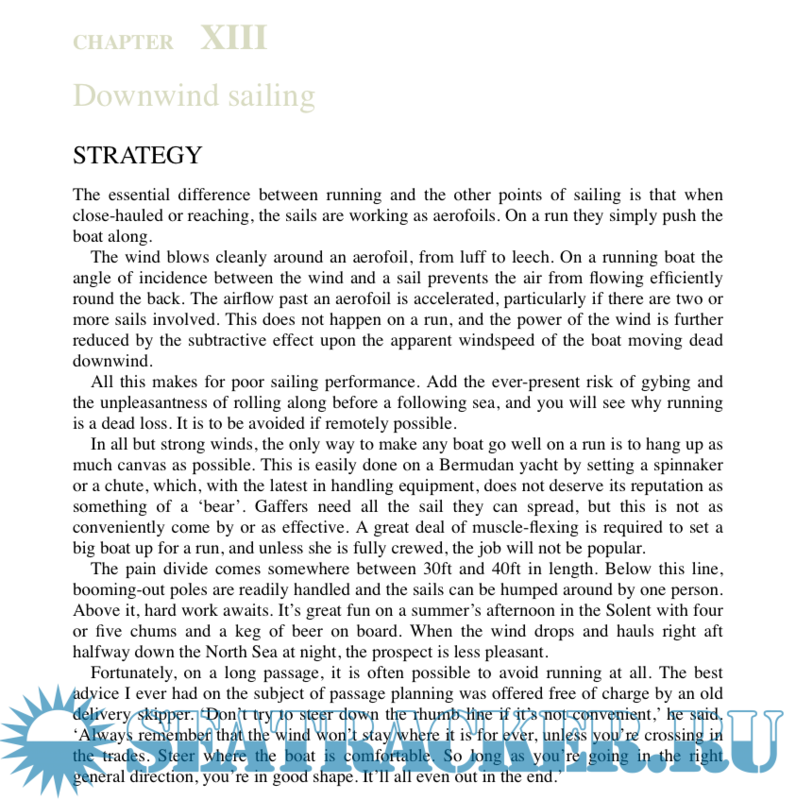 In the 1920s, the Bermudan alternative to gaff was in its infancy, so that any written work on sailing and seamanship referred to the four-cornered mainsail as the normal state of affairs. The tall, comparatively flimsy triangular rig that was ultimately to replace it, was seen by many as a craze which, despite its obvious benefits, would ‘never catch on’. For better or worse, Bermudan rig took hold like a forest fire, so that by the 1950s anyone ordering a new yacht with a gaff rig would have been considered eccentric. When I first went to sea just ten years later there were any number of sailors who had doused a topsail in a squall when gaff rig was all that was available. Their knowledge was instinctive, which made a tremendous difference, but they were already well down the road to extinction. A few enthusiasts had learned from them directly, but by 1990 a real danger existed that the unbroken line of traditional seamanship skills would die with their retirement from the water. 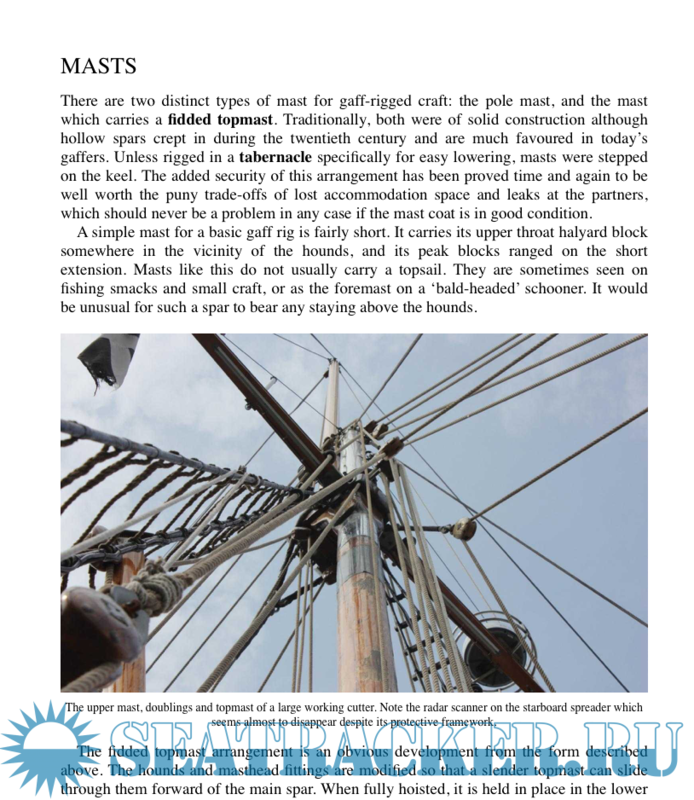 Anyone who chose to put to sea in a heavy-displacement vessel with sails and spars whose concept predated the general experience by a whole era would then be obliged either to learn by his mistakes or rely on archaic written material. That was why I wrote the first edition of Hand, Reef and Steer.